Amsterdam is one of the most exciting cities in the whole world. Amsterdam is the capital city of Holland and it is one of the most visited cities in Europe for many reasons. One of theme is shopping! Amsterdam attracts thousands of tourists every year and there is always something going on in the city. Apart from the museums and the city attractions and the beautiful architecture in the city there are restaurants, bars, clubs, shops and coffee shops as well on every corner. In this article we will list some of the best shops to go to in the city. Mark Raven Amsterdam Art is a lovely shop in the heart of Amsterdam. Mark Raven is a Dutch artist and Mark Raven Amsterdam Art is his own art and souvenir gallery. At the store you can buy various paintings, printed T-shirts and hoodies, prints and so on for reasonable prices. All the products he is selling are unique and handmade. 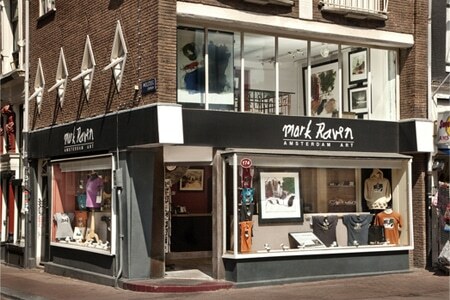 The Mark Raven Amsterdam Art is located near to the Dam square. Van Stapele Koekmakerij is a small and lovely shop located in the central of Amsterdam. The Van Stapele Koekmakerij is a cookie shop where you can try the best cookie of all time. The shop only sells one type of cookie with the perfect recipe but they say it is the most delicious on the whole world. It is filled with chocolate in the middle and the recipe of the cookie is a secret. At the shop you can also buy coffee and boxes with 6 cookies which is a perfect gift for family and friends. Henri Willig Kaas is a really interesting cheese shop in the heart of Amsterdam. The Henri Willing Kaas sells a wide selection of various cheeses such as goat cheese, gouda with different flavours. At the shop you will have the chance to see how all the different Dutch cheeses are made. There are multiple original cheeses and cheeses with different flavours as well for reasonable prices. The service is friendly and helpful. Kadinsky Coffeeshop is a nice coffee shop in the heart of Amsterdam where you can buy weed. The coffee shop offers a wide selection of various marijuana and hash. The service is really friendly and takes the time to explain the different products and their effects as well. At the store you can also buy drinks, cookies and various pre-rolled joints. The price of the marijuana depends on the weight and the quality. There are even papers and tips provided for rolling. The atmosphere of the coffee shop is really relaxed and cozy. Tulip is the home of Holland and Amsterdam as well and there are several possibilities to buy tulip in Holland. If you visit Amsterdam and you would like to buy some flowers including tulips the best place to go is to the Flower Market. The Flower Market is located in the heart of Amsterdam along side the canal and it is really close to the main attractions in the city. At the market there are a wide selection of the various fresh plants and flowers. At the market apart from the flowers you can also buy all kind of flower, tulip bulbs and seeds as well. The Flower Market is always crowded and full of tourists. Kalverstraat is the main shopping street of Amsterdam which is located in the central of the city. It is named after the claves market which were held there until the 17th century. Klaverstraat is the most expensive shopping street in Amsterdam and in the whole Netherlands as well. The shopping street starts at the Dam Square and it ends at Muntplein square near to the Munttoren Tower. On Kalverstraat there are countless and various shops. De Bijenkorf is a department store in Amsterdam. The De Bijenkorf is located in the central of the city close to all the attractions in Amsterdam. It is based at the Dam Square. De Bijenkorf is one of the largest premium department store in Amsterdam and all the designer, the most popular fashion and luxury shops can be found there including Louis Vuitton, Gucci, Chanel and so on. De Bijenkorf gives home to several events during the year such as Fashion Night Out and Chinese New Year as well. Kalvertoren is a shopping centre in Amsterdam. It is located in the heart of the city also really close to the main attractions in the city. It is based on the main shopping street of Amsterdam on the Klaverstraat. 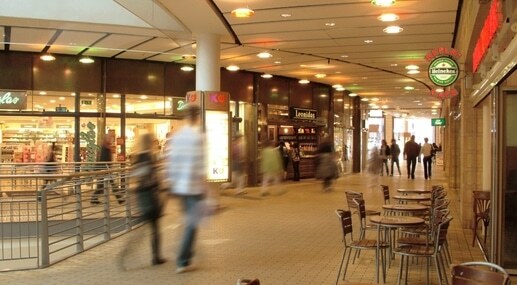 Kalvertoren offers a wide range of various clothing and shoe stores such as Dockers, Hugo Boss and Timberland as well. The shopping centre is open seven days a week from Monday until Sunday. There are several other various stores, restaurants and bars in Amsterdam so if you want to know more on the city and its programs and attractions check the following site.